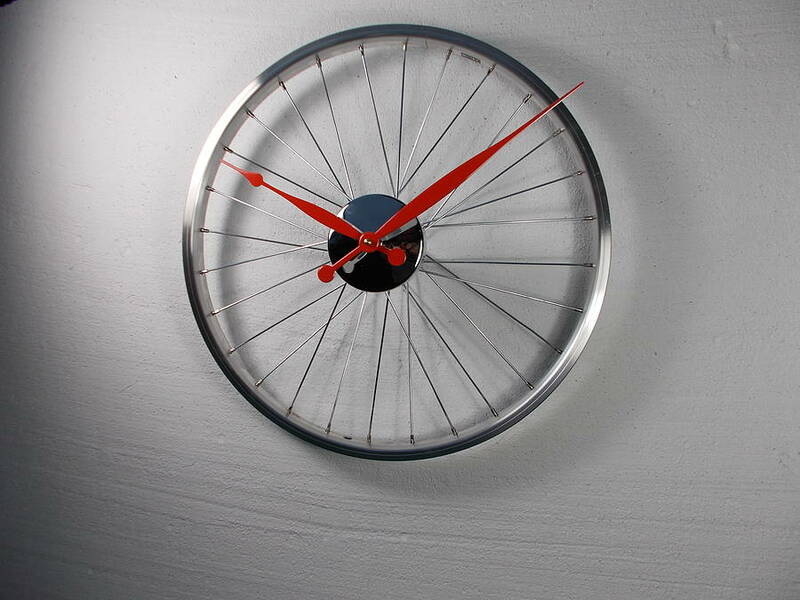 Stylish and super cool Bke wheel clock uniquely at home on the walls of an execuive office to a university halls. 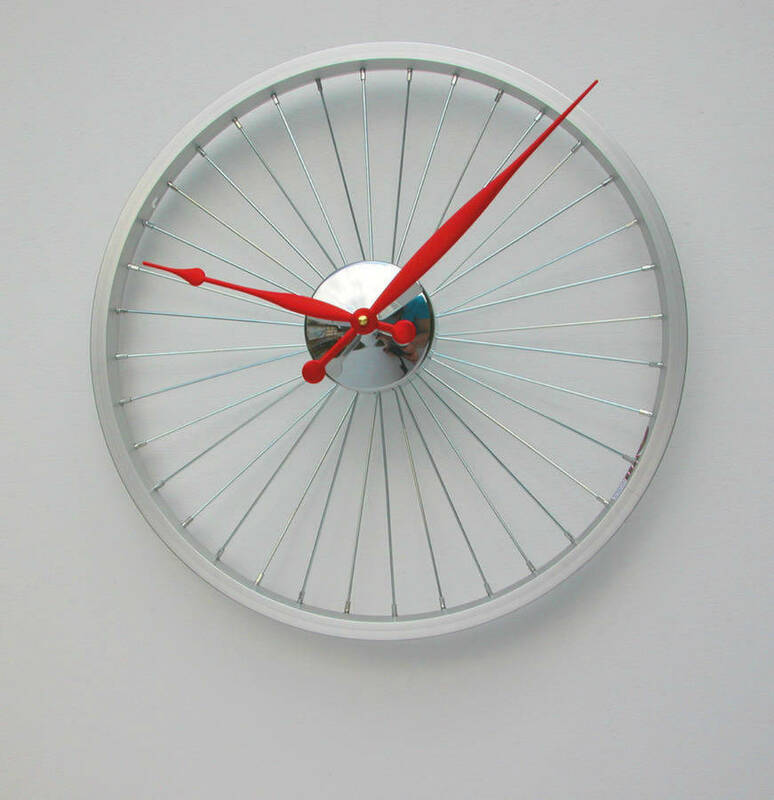 Here for sale is a unique gift for any cyclist or fan of outdoor pursuits.The hub hands and sprockets can be finished in any colour or your choice. 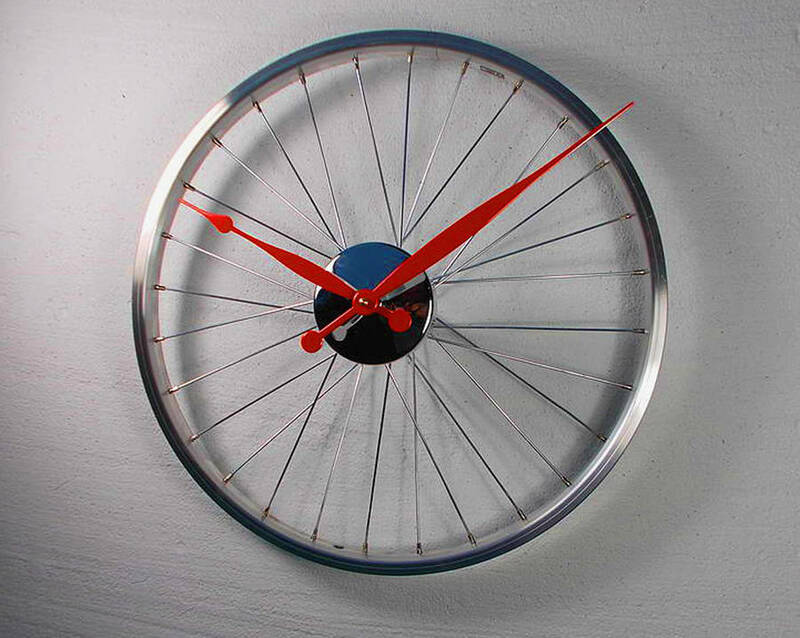 The wheel can also be in various sizes.This is a reconditioned and reengineered bicycle wheel transformed into a beautiful wall clock.The clock mounts directly to the wall through the center of the wheel.This truly is a unique gift and becomes the center of attention in any room it is hung in.